Unleash the next generation in power with the EVGA SuperNOVA 850/750 G2 power supplies. Based on EVGA's award-winning G2 power-supply series, these PSUs feature 80 PLUS Gold-rated efficiency and clean, continuous power to every component. The new ECO Thermal Control Fan System offers fan modes to provide zero fan noise during low load operations. This provides improved efficiency for longer operation, less power consumption, reduced energy costs and minimal heat dissipation. 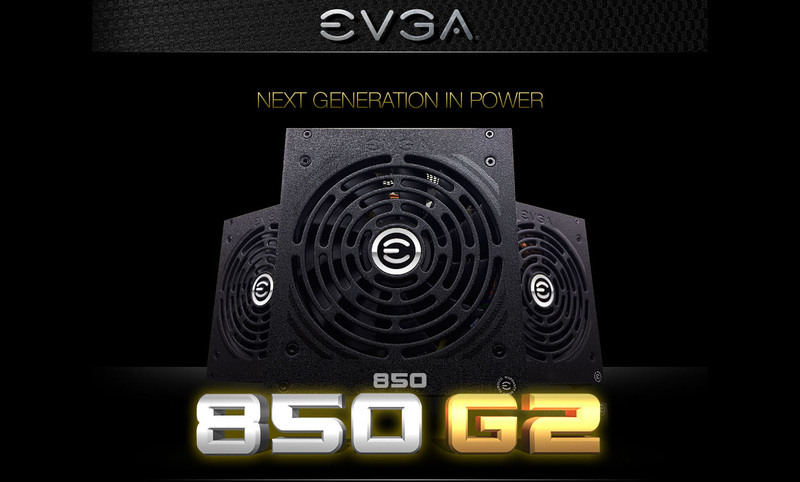 Backed by a 10-year warranty and proven Japanese-capacitor design, the EVGA SuperNOVA 850 G2 is not only the right choice for your system today, it's also the best choice for your system tomorrow. Fully-modular designs allow every single cable to be removed from the power supply for ease of installation and removal. You can also leave off unnecessary cables to reduce case clutter and maximize case airflow. Get the greatest reliability and performance with the best Japanese solid-state capacitors. A high-quality dual ball-bearing fan gives the SuperNOVA 850 G2 an excellent thermal and acoustic profile, and its high reliability ensures a long PSU lifetime. 80 Plus certification ensures your power supply isn't wasting power and turning it into excess heat. Under typical load this power supply is 90% more efficient or higher. While being silent, this entire series has a large single 12-volt rail, providing plenty of power to fuel all of your hardware. And lastly, because power without safety is pointless, a full suite of top-tier circuit protections to keep you running strong and your hardware safe. "This platform is a real performer... its voltage regulation is tight, which results in stable DC rails, and its excellent ripple suppression is cause for very clean voltage outputs. It also features a fully modular design, a feature most users look for nowadays, and packs a silent overall operation because of its quiet fan and optional semi-passive operation... "
"Both the SuperNOVA 850 G2 and 750 G2 power supplies exhibited outstanding voltage regulation with low AC ripple, even at full load. " Cons: Original power supply broke down. The replacement sent by EVGA was defective and broke down also. 2 RMAs in only 4 years! Sure, there's a warranty. But you have to pay to ship the broken part and get the same refurbished defective product model in return!!! Keep in mind...Have paid to ship 2 defective products back to them! Not to mention, toxic fumes from defective product, lost time, installation costs, etc. I do apologize for the troubles you are having with your EVGA 850G2 power supply. I can assure you that we are here to assist and support you as best we can. If you haven't already done so, then I would encourage you to contact our 24 hour Technical Support team by phone 1.888.881.3842 and pressing option 1 or by email: Newegg@EVGA.com with your reference# 3419688 so that we can further assist you with warranty services if needed. Other Thoughts: Love these Evga power supplies, very well made. Pros: Everything you read positive is true and it is so silent compared to my last one I can hear my games much better. The cables are all covered and you only need what you require making it much cleaning and less congested inside your case. It is the first time I was not short any cables building my new system and was awesome. Cons: Perhaps the price off sale but it is a quality item for sure. If there is not any, some monitoring software would be cool like precision! Other Thoughts: My PSU is now on it's 5th year of service in it's 3rd build and is easily the most reliable thing in my builds. By far the best money I spent on any computer part, hands down. Other Thoughts: Would be nice if you could choose different color for the PSU and cables. - Did I say it sparked and almost caught fire? Other Thoughts: I bought this power supply for a system that I set up for my brother. It was my old computer so I thought I would upgrade it and at least with a good power supply that had a good warranty. BOY WAS I WRONG! I bought this is the first of the year, 2018 at around $180. Computer was not overclocked and had been running on and off for several months. Then my brother called me one afternoon saying his computer was completely dead. He told me he opened it up and it smelt like burnt metal. When I got to actually look at it, it was a month later (I live out of town). I noticed immediately that plug for the SATA wire had completely deteriorated. On closer inspection the SATA plug into the PSU had melted and completely fused to the socket. I unplugged all the EVGA PSU and put in an older Thermaltake 750 that I had available. The computer turned right on and continues to work fine to this day. Now, since I had wires spark and nearly burn my brothers house down... I sent everything back, even the original box and whatnot. I told them that I had already replaced the product with a different PSU and would rather have my money back. Even with copies of the original invoice they told me, "since you purchased from Newegg all we can do is replace the item." Wait?... what? Do you not hold newegg to your standards of RMAs? What the hell does that mean? "Just our policy." I would probably not be writing this but the RMA for this pricey melted brick was just, meh. They sent me a PSU in its only plastic wrapped box and a bunch of modular cables all wrapped in a bubble-wrap bag (most likely my original cables). Now if you think I'm going to plug those things into any of my computers you are FREAKING CRAZY! I looked up the cost of a used or refurbished EVGA 850-G2 and its 35-60 bucks.... w.t.f? Now I may be just the 1:100 that goes bad, but my advice: BUY BRONZE OR SILVER rated and DON'T buy a EVGA. You will never get your money's worth if things go wrong for the extra 100 bucks you will spend. 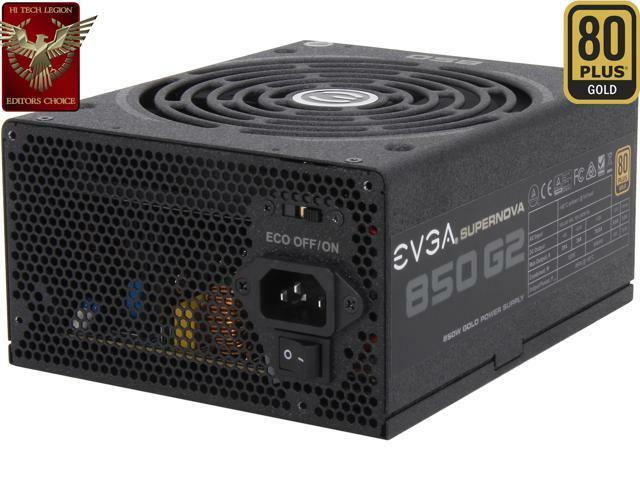 I am sorry to hear about the troubles you have experienced with your EVGA 850G2 power supply. 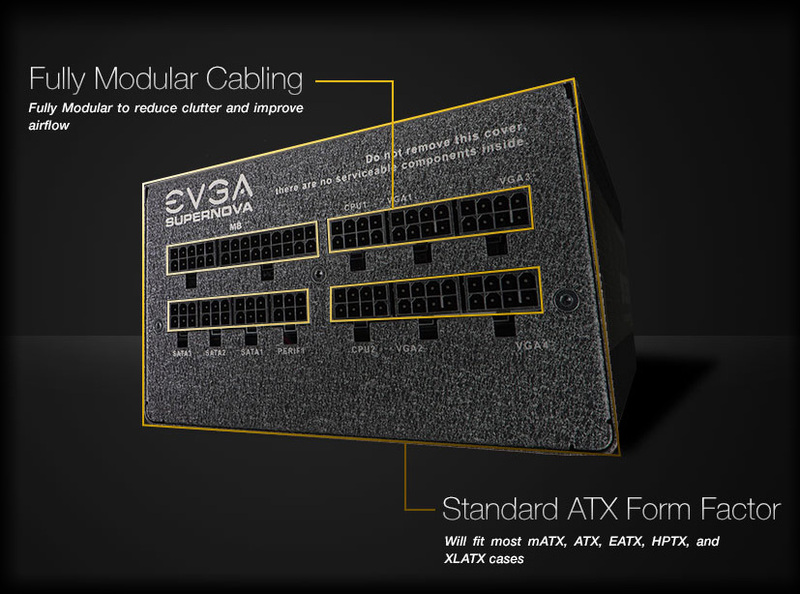 All EVGA power supplies do have built in over voltage/current protection measures to prevent any damage to connected components. We are here to assist you and support you with replacing your EVGA product. If you should have any question or concerns regarding any EVGA product, then I would encourage you to contact our 24 hour Technical Support team by phone 1.888.881.3842 and pressing option 1 or by email: Newegg@EVGA.com with your reference# 3342664 so that we can further assist you. Pros: Had this EVGA SuperNOVA 850 G2 for two years in two computers. It just great. Steady power, dependable, reliable, well made, Just super. Doesn't fail at anything. Other Thoughts: Powers my stuff. This is my computer's profile.